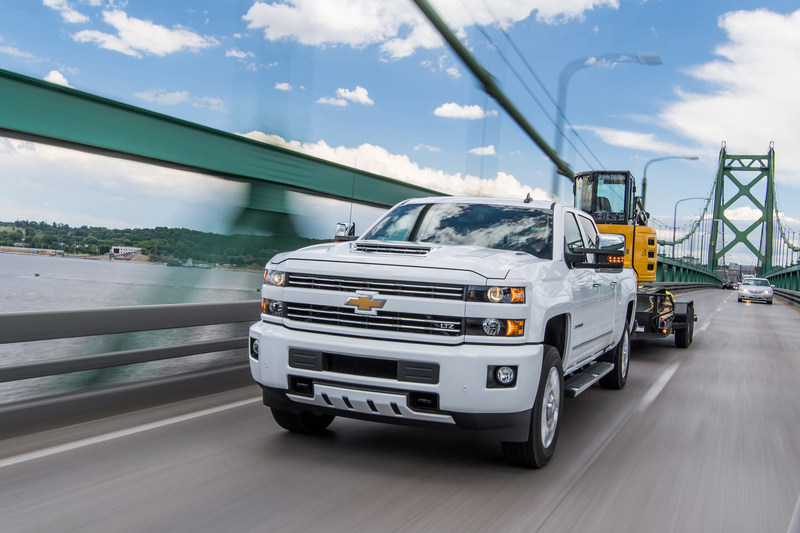 If you’re looking for a new truck to haul that trailer or get more work done, you must come down and test drive the latest 2018 Chevrolet vehicles that we have in stock. 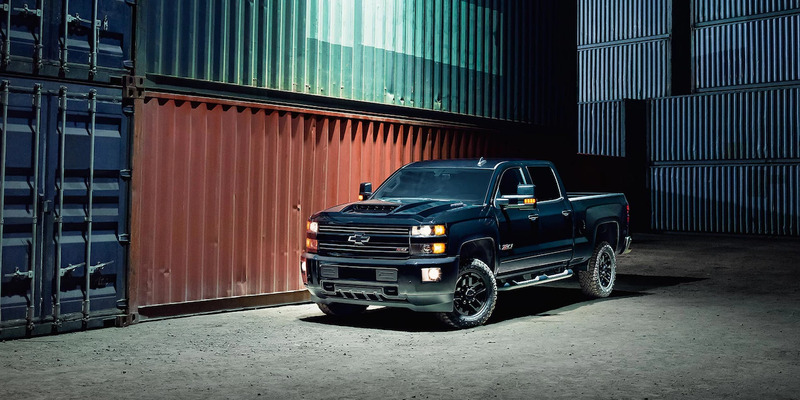 The Silverado 2500 model is designed to provide you with the kind of power and reliability you need to get the most from your day. Built to exacting standards, this truck is designed to provide you with the legendary capability and it’s a flagstone truck in our collection. When you come down to our dealership, we’ll show you why we love this vehicle so much. A spray-on bed liner means that the bed of your truck is permanent. There is no plastic to rub off, just solid steel and the smart water-sealed polymer that’s used to bond with the bed of your truck. This gives you an effective method for protecting the exterior of your vehicle from damage. You’ll also love the cargo tie-downs and bed lamps that are designed to keep your vehicle better-protected. Come down and explore all of these features and much more. The 2018 models are blowing our minds with their incredible features and options. Come check out all of our Chevrolet vehicles and find out more about the Silverado 2500 models that are available to you. When you come down to our Libertyville Chevrolet dealership, we can help you get the most from your next vehicle. With a truck, the exterior is all about ruggedness and utility. This vehicle helps you get more from your day and makes it easier to load up your haul and get to your destination. 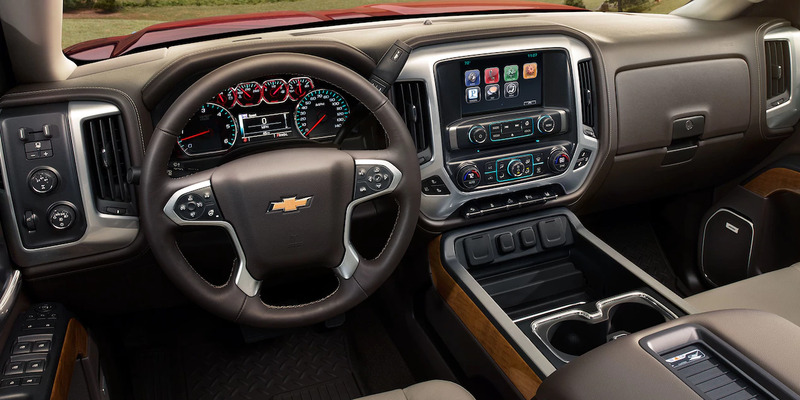 Start with the plush seating and the smart steering wheel controls that make it possible to answer phone calls and manage the available display and cruise control options. The vehicle also comes with plenty of USB ports and a wireless charging pad to let you connect compatible smart phones. This vehicle is designed to provide you with great functionality and enjoyment as you drive down the road. You’ll also love the quiet cabin thanks to the triple-sealed doors, aerodynamics and smart dampening features. When you visit Libertyville Chevrolet dealership or contact us online, we can help you get set up to take one of these vehicles home. We loved serving customers in Libertyville Illinois because they know what they want and need to be happy. Come down and take your 2018 Chevrolet Silverado 2500 today before someone else beats you to it. When it comes time for the long haul, you’ll be thankful you took the time to take a look at this vehicle. 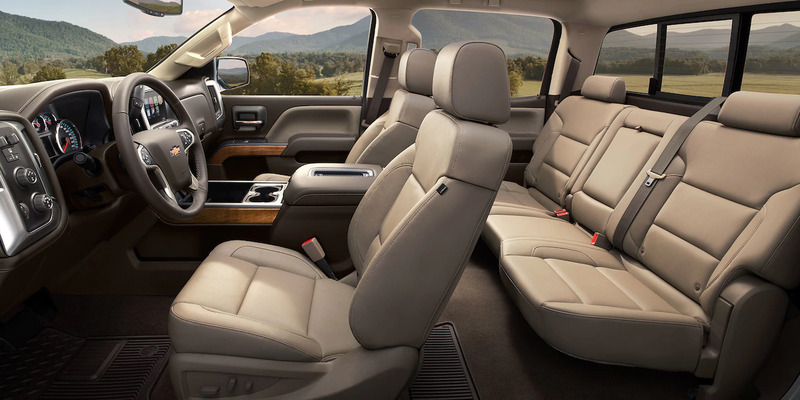 It provides more comfort than most other vehicles in its class and we absolutely think you’ll love it. The Vortec 6.0L Variable Valve Timing V8 SFI engine offers good power and performance. It features a 360 horsepower engine that outputs 380 pound-feet of torque. The vehicle also offers a Duramax 6.6L Turbo-Diesel V8 engine that provides up to 445 horsepower and 910 pound-feet of torque to provide you with some truly exceptional performance. The transmission of this monster is a six-speed transmission. You’ll also have the option of a getting an optional engine block heater and four-wheel drive on some models. Engine options and rugged engine components are the hallmarks of this vehicle that is available at our dealership in Libertyville Illinois. Come experience the 2018 Chevrolet Silverado 2500 for yourself and get a vehicle that meets your needs for the 2018 year. Give us a call with any questions. We’re glad to help you. Chevrolet vehicles are known for their safety features. This truck comes with six airbags and an airbag deactivation switch for when you need to tow extra gear in the passenger seat and you don’t want an airbag deploying. 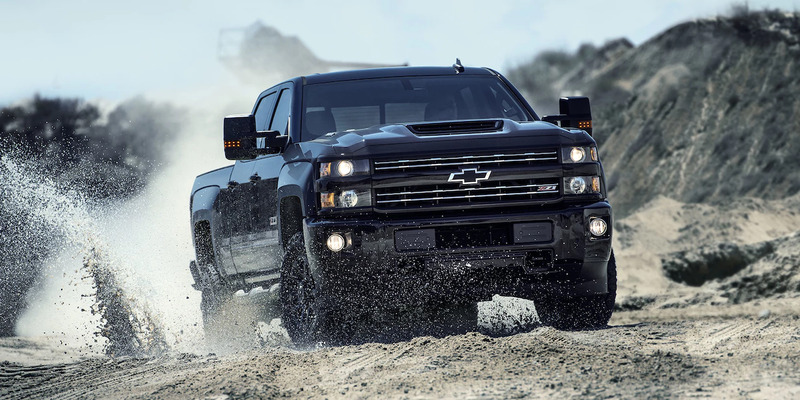 You’ll also get an optional forward collision alert system on the Silverado 2500 model. Rear park assist, a rear vision camera and the teen driver system also make this vehicle safer for everyone in the family to drive. Come down and explore this vehicle for yourself and see all of the active and passive safety features that are available. Our Libertyville Chevrolet dealership wants to give you a great deal on your next vehicle purchase. We also want you to be able to drive home a vehicle that meets your personality and needs. At our dealership in Libertyville Illinois, we have exceptional options to get you the monthly rate that makes sense for your budget. We also have a wide selection of vehicles so you can make sure you get the right car for you. *Informational/opinion based review. Please contact the dealer for complete details.